A House committee on Wednesday will mark up a bill to overhaul the Antiquities Act, a law that gives the president power to establish national monuments for preservation. The bill, introduced Friday by House Natural Resources Chairman Rob Bishop (R-Utah) would put new rules on large national monument designations made by presidents. Antiquities Act reform is a key priority for some conservatives, interest groups and Westerners. The bill would maintain the president’s power to declare national monuments, but any monument larger than 640 acres would be required to go through a federal environmental review process. The legislation applies increasingly strict rules to potential monuments the larger they get, ultimately requiring county and state governments to sign off on the monument designation before it takes effect. It also codifies the president’s ability to reduce the size of a monument. The Natural Resources Committee will mark up the bill on Wednesday. “Today the act is too often used as an excuse for presidents to unilaterally lock up vast tracts of public land without any mechanism for people to provide input or voice concerns. This is wrong,” he said in a statement. The legislation comes as the Interior Department recommends President Trump shrink a handful of large monument designations made since the 1990s. That proposal is highly controversial among conservationists who have opposed efforts to shrink monuments and will likely sue to test the legality of such decisions. 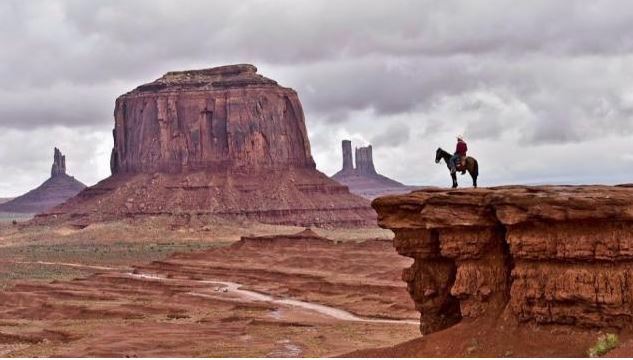 Energy industry groups, ranchers and other interests have encouraged the review and Antiquities Act reform on the grounds that monument designations set large tracts of land, especially in the West, for conservation rather than use. The Natural Resources Committee on Wednesday will also consider ranking Democrat Raúl Grijalva’s (Ariz.) resolution requiring Interior Secretary Ryan Zinke share with Congress more information related to his national monuments review. Court rulings and more than a century of presidential practice have established that the Antiquities Act is broad and can protect large natural landscapes. Reducing its scope to the narrow yet vague and infinitely litigable terms Bishop proposes would fulfill a longstanding goal of the anti-public lands fringe and severely undermine the law. Among other things, Bishop is infamous for remarking about Native American rock art at Nevada’s Basin and Range National Monument, “Ah, bullcrap. That’s not an antiquity.” It’s not hard to see the potential damage done by reshaping a bedrock conservation law in this man’s image. If thousand-year-old art—not to mention the Grand Canyon itself, whose onetime monument status led to a legal ruling that the Antiquities Act could be applied to large natural landscapes—isn’t an “antiquity,” then what would he deem worth saving? Bishop’s bill would also outlaw monuments beyond a certain acreage, allow future presidents to slash existing monuments down to a fraction of their size, and completely end the practice of setting aside marine habitat under monument status. Signed into law by Theodore Roosevelt in 1906, the Antiquities Act authorizes presidents to protect important archaeological, historic and scientific resources on public lands under the designation “national monument.” It has been used on a bipartisan basis by almost every president, a method supported by some 90 percent of voters that forms the backbone of our National Park System. Despite its popularity and proven track record, in the spring of 2017, President Trump signed an executive order launching a “review” of every large national monument established under the Antiquities Act since the beginning of 1996. It was a move transparently spurred by extreme members of Congress trying to shrink boundaries and reduce protections in their respective states. In September, media outlets reported that Interior Sec. Ryan Zinke’s recommendations based on that review featured changes to 10 national monument lands, including shrinking Utah’s Bears Ears and Grand Staircase-Escalante, Nevada’s Gold Butte and Oregon’s Cascade-Siskiyou. Bishop’s law is the natural next step, a killing blow aimed at the very foundation of the American public lands tradition. The goal is to not only roll back what has been protected in the past, but to prevent any and all protections in the future. We don’t know precisely what path this bill will take, but should it come to a full House vote, we will call on Wilderness Society supporters to mobilize and let their members of Congress know Bishop’s proposal is totally unacceptable.